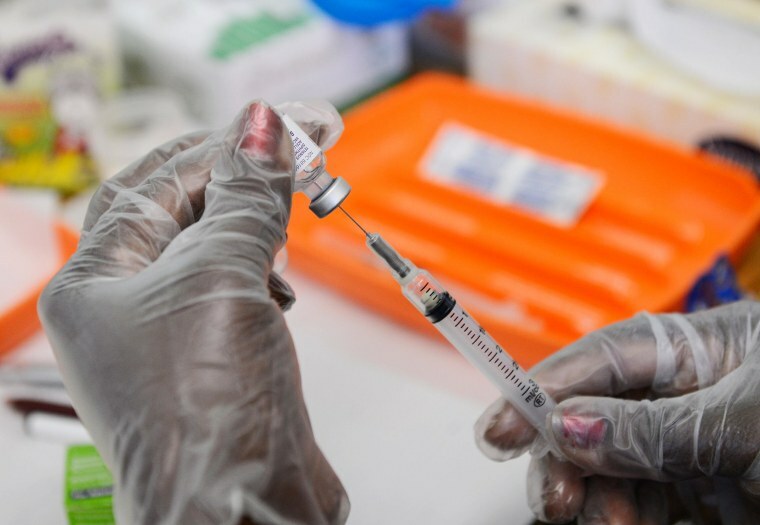 A vaccine against whooping cough, tetanus and diphtheria safely protects not only a pregnant woman, but her newborn, too, researchers reported Saturday. The vaccine has routinely been given to pregnant women for about a year but experts say it’s important to continually review anything given to expectant mothers. The issue’s also topical with recent outbreaks of whooping cough linked to people who refuse vaccines and reports that have left doctors fearing that newer vaccines might not be fully effective. Newborns too young to have been vaccinated are extremely vulnerable and can die from whooping cough, also known as pertussis. Dr. Carol Baker and Dr. Flor Munoz of the Baylor College of Medicine in Houston gave the combined vaccine, called Tdap, to 33 pregnant women and they gave a dummy shot to 15 more women. The moms-to-be suffered no serious side effects and the babies in both groups were all born healthy. The babies whose mothers were vaccinated had antibodies in their blood at levels that should protect against the infections, Baker and Munoz reported in the Journal of the American Medical Association. Whooping cough is caused by a bacterial infection. It gets its name from the nagging cough it causes that can make children gasp for air, making a distinctive whooping sound. But it’s not so serious in adults and they may not realize that a persistent cough is being caused by pertussis. The older vaccine was made using a whole pertussis bacterium. It was very effective, but it did cause swelling in some kids who got it, and sometimes caused a fever — something that scared parents. The formulation for the vaccine was changed in 1997. The new formulation causes less of a reaction, but it may also wear off sooner. Doctors suspect this because cases have rebounded. Children get a slightly different vaccine from the one given adults. It’s called diphtheria, tetanus and acellular pertussis, or DTaP, and they are supposed to get it at 2, 4 and 6 months of age. Everyone's supposed to get a booster every 10 years or so. It will be important to continue testing both vaccines to make sure they are safe and effective, the researchers told the Pediatric Academic Societies Annual Meeting.